What do you know about the informal waste economy? 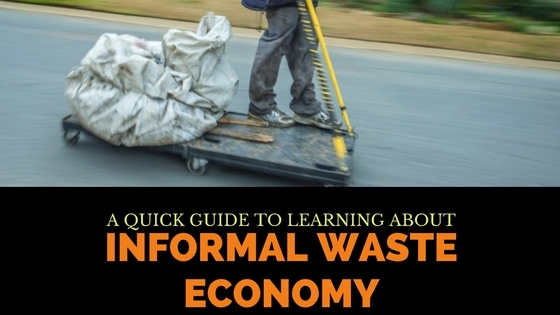 We put together a guide with resources like panels & articles that discuss various aspects of informal waste recycling, including the economics, the stigma and the challenges. So, come learn more about this very important aspect of waste management. Start with this article on Historical Perspectives on The Informal Waste Sector, but don’t forget that informal recyclers are also entrepreneurs. So, follow it up with an introduction to Entrepreneurship in Waste Management. Next, this article discusses the economics, informality & stigma in the waste network. Follow it up with this article that discusses a study by WIEGO on the informal economy of waste pickers across 5 cities and 3 continents. This two part article discusses models of inclusion of the informal waste sector. 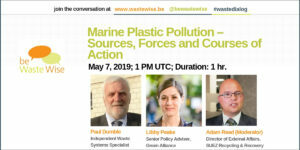 The panel on Intergating the Informal Waste Recycling Sector in Latin America works as a good example to subtantiate points discussed in models of inclusion. Learn more about the informal recycling sector with this story about Chennai’s Kabadiwalla Ecosystem, which discusses recyclers in an Indian city. To understand the Indian context a little better, you can check out this interview with Bharati Chaturvedi from Chintan Environmental Research & Action Group. The panel discussion on Gender, Recycling & Waste Management offers a deeper analysis of the gender related aspects of the informal recycling ecosystem. You might not know, but gender makes a difference when you’re a waste picker and it is important for us to understand that. Is there a specific area of the informal waste sector that you want us to host a panel discussion on? Or, is there any other other panel or article (external to this website) that you think should be linked as part of this guide, do let us know in the comments. If you found our guide useful, please share it on social media. It will help others get access to this high quality knowledge from some of the best minds worldwide. Want to learn about The Informal Waste Economy? This resource from @bewastewise is a good start.